Week by week, carload by carload, I’m donating my way to a more simple lifestyle. It all began when I started to investigate responsible consumerism. Soon I came across the trending concept of a “capsule wardrobe.” Although definitions vary, a capsule wardrobe will be small, simple and functional with only items that are used and enjoyed. Some wealthy and influential people utilize a “uniform” or repeat a combination of clothing (examples are Steve Jobs and President Obama). Others create a capsule wardrobe to maximize their options with minimal investment. Some just use a capsule wardrobe as a minimalist experiment. Courtney Carver of Project 333 claims that a capsule wardrobe will save you “time, money and mental energy.” I was intrigued. 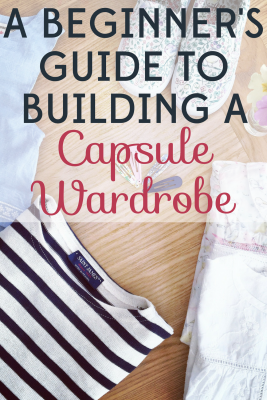 Whether it is a mix of items that provide a myriad possible combos, or very simple outfits with little variation, it’s easy to imagine how a capsule wardrobe could simplify your daily life. Imagine if your closet only held the clothing items that are good quality, flattering, comfortable and ready to wear. The result would be a closet that is streamlined, simple and easy to maintain; basically, a wardrobe that you love. Find a guide to help. Fortunately for us newbies, there are many who have gone before and laid out some fantastic wardrobe guides to get you started. 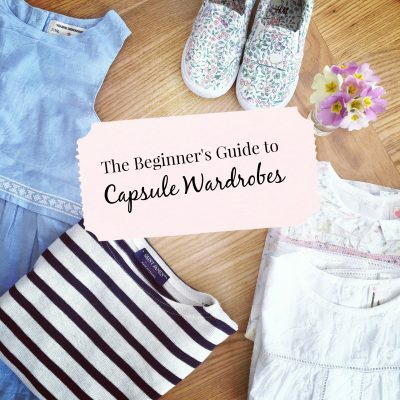 Check out my personal favorite capsule guide here, which even includes a free wardrobe planner! Here are some other great websites to learn more about Capsule Wardrobes: BeMoreWithLess(home of Project 333), UnFancy, The Vivienne Files, and YouLookFab.com. You can also find lots of great capsule examples on Pinterest! Think hard about colors: Choose your very favorite, neutral base pieces. Black, denim, olive, khaki or brown are all possible neutrals to build on. A well-thought out capsule wardrobe will allow most items to be mixed and matched so be sure you are happy with the neutral you choose! Get great tips on colors at Into-Mind.com! Shop your closet first: Depending on how you approach this challenge, you may be committed to not shopping or might be open to spending some money. Either way, your closet should absolutely be your first stop. Grab your very favorite pieces that you know are going to be versatile. What items could you never do without? Personalize your basics: In the past, I have been so guilty of buying the classics recommended for “every woman’s wardrobe.” I would leave them hanging in my closet without really admitting the fact that I don’t wear pencil skirts or blazers and button ups are really only for people who iron. Those “must-haves” eventually made their way into another bag heading to Goodwill. Avoid this pitfall by being realistic about your needs and daily life and dressing accordingly. Black pixie pants may take you much further than that pencil skirt, and a drapey sweater might be more your style than a blazer. Make some money in the process! While you are paring down your wardrobe, why not shed some of those unwanted items? Besides Facebook Selling Groups, and ebay, you could also try resale shops like Style Encore, Plato’s Closet or Clothes Mentor. Some online options are PoshMark, Tradesy, and ThredUP. I haven’t created my Capsule Wardrobe yet, but I already know that when I travel I pack only my very favorite, most flattering outfits. I take along the shoes and accessories to complement them. I have fewer choices, but usually feel more at ease and so much “lighter.” As a result, I enjoy getting dressed so much more than I do at home with my whole closet in front of me! Have you experimented with a minimal wardrobe? MiLocks Electronic Keyless Entry Touchpad Deadbolt Door Lock Only $49.99! I think you may be onto something…thinking about what I would take on a trip! That might be the miracle question to developing a capsule wardrobe. Hmmm. Thanks.